So our summer workamping adventure begins! We arrived in Eastham, Massachusetts at Atlantic Oaks Campground on Monday, May 8th, and met Katie and Dan, the campground owners! They are a young enthusiastic couple with a seven month old son, Roman. We settled into our site and then took one of their recommendations and drove to Wellfleet, a neighboring town, to dine at The Bookstore Restaurant. The meal did not disappoint and continued our plunge into daily, fresh seafood! 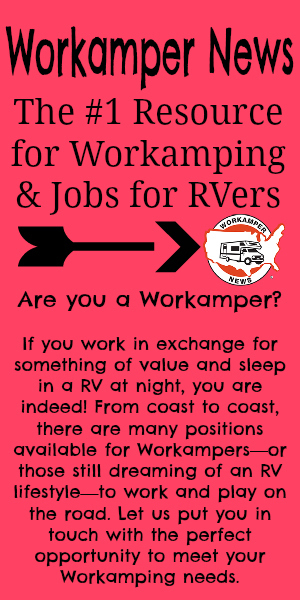 Since most employers give their Workampers at least a few days to get settled and acclimated to the area, we will spend the next few days doing just that! This morning, taking another recommendation since we had not yet been to the grocery store, we had breakfast at The Hole-In-One, a great coffee shop/bakery/restaurant. We then began our exploration, first venturing to the bay side beaches – absolutely gorgeous – as are the stereotypical Cape Cod homes – of all sizes – peppered along the way. One of our goals today was to visit several gyms in the area that we had heard about. Our first stop was Fitness Revolution in the town of Orleans. Offering a plethora of classes, the gym also included all the weight machines and cardio equipment we need. Our second stop was a newer gym, also in Orleans – BodyStrong Fitness. Here the equipment was newer and again included everything we use. The class schedule was not as comprehensive and the classes were not included in the membership. Next stop was the food store – Stop N’ Shop! It has been interesting as Workampers to experience different grocery stores wherever we land. Never did I realize how many major food stores there are throughout the country! We made a major haul and then returned to the campground to unload. I am also looking forward to the various farmer’s markets we have heard about that begin a tad later in the season. It appears that most of the neighboring towns have their own farmer’s market once a week on varying days of the week. This afternoon we took off again and explored several of the ocean side beaches – the Coast Guard Beach as well as the Nauset Beach, both of them being part of the Cape Cod National Seashore. As one of my favorite writers, Henry David Thoreau described it – “A man may stand there and put all America behind him.” So true and how coincidental that we spent last summer in Empire, Michigan near Sleeping Bear Dunes, which is also a National Seashore area. Being from New Jersey, we are beach veterans, yet the beach in this area is very unique in that there are tremendous dunes, and a system of wooden stairs has been built in periodic intervals to enable beach goers to get to the bottom of the dunes. It’s beautiful, yet different. We also viewed the Nauset Light, one of several lighthouses on the coast in Cape Cod. We then made a quick stop at one last gym, Willy’s World Fitness Center, which is the closest to our summer home and is quite amazing – boasting a gym, classes, racquetball, tennis, a rock wall, pool, indoor turf field and a smoothie bar! We’ll make our gym decision in a few days – in the meantime we plan to explore the extensive bike path which is right out our back door! We then decided to travel on to Province-town, which is located at the northern tip of Cape Cod and is known as the “Key West of the North.” Again, it was an enjoyable and scenic 20-mile drive through the town of Truro and then on to what is referred to as Province-town Center. Many of the stores and restaurants are not opened yet, or only open on weekends, but we walked it one end to another and took in the sights – and believe me there are sights! A most interesting town with a lot to offer tourists and locals alike! Our first day of exploration was a full one, with many more to come! Stay tuned!